Oriental Princess introduces “Miss OP”, a lovely lady who will share never-ending natural beauty with you! Miss OP invites you to join the illustrious “Keep Beautiful Society.” Get all the latest info on special promotions and beauty tips! Miss OP is back! 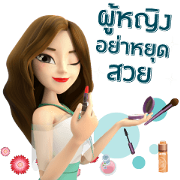 Join the “Keep Beautiful Society” to get special promotions and beauty guides. Miss OP is back with new characters and exclusive promotions! 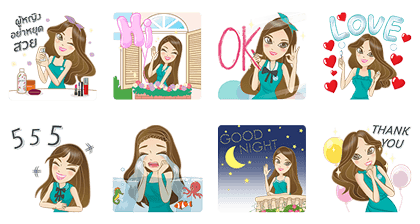 Miss OP returns bigger than ever with some of the cutest pop-up stickers out there! Bring her to your chats today to get the latest information on exclusive promotions. Miss OP is back! Enjoy filling your chats with new 3D characters and get exclusive promotions. Miss OP is back. 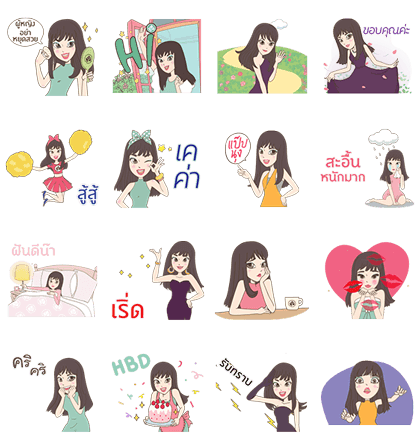 Enjoy your chats with new 3D-style characters and get exclusive promotions! Friend OP’s official account to get these stickers for free. Copyright : O.P. NATURAL PRODUCTS CO., LTD.